Happy day to you all, we're one day closer to Friday. Are you as excited as I am? I wanted to quickly share a new life update with you (besides just turning 30), I started a new job two weeks ago. I've been trying to adjust to my new schedule and it's happening slowly but surely. In between getting my workout in, walking my dogs, meal prepping, and a million and one other things; it's safe to say that I need to learn how to better manage my time. Before my new job, I was freelancing, therefore, I had a lot of time on my hands to dedicate to my blog. Now, I need to make sure to plan my photoshoots and time to write accordingly. Please wish me luck! 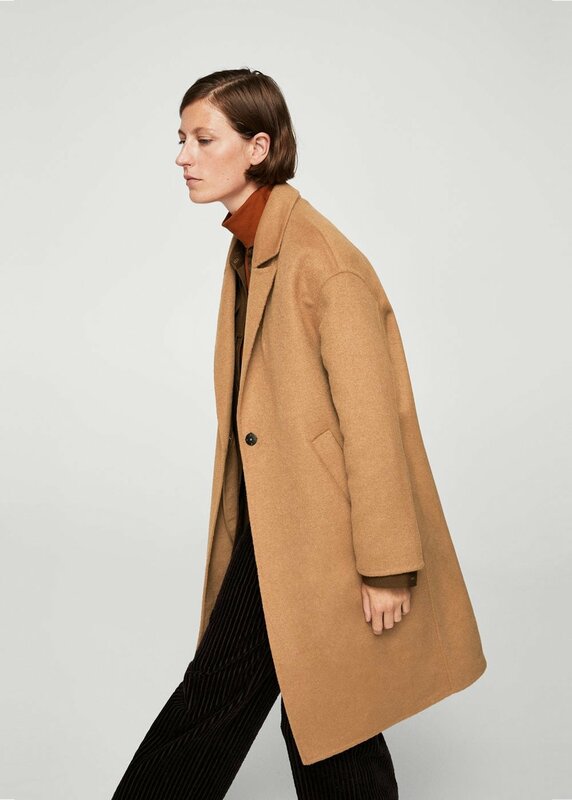 With that being said, I introduce you the 'camel coat', an essential in a woman's closet. 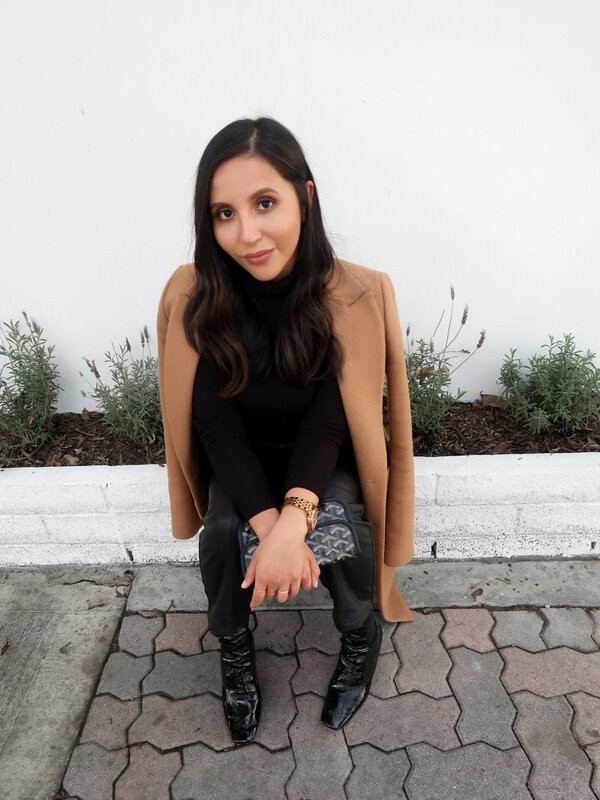 My husband gifted me this beautiful coat last year and even though it does not get too cold in Orange County, I am obsessed with it and wear it every chance I get. I literally wear it with everything and even throw it on when I want to fancy up jeans and a tee. The camel coat is definitely a simple, yet classic stand out piece, and one that I dearly cherish in my closet. Here, I paired it with an all black ensemble. To add some texture to the look, I went with a ribbed turtle neck, faux leather pants, and patent leather boots. A black uniform is my favorite, so chic and simple. Throwing on a beret with this look will totally transform it into a Parisian look, I would dig it. Definitely regretting the fact that I didn't add one here. My coat is from Zara but since it's old they no longer carry it. But I did give you guys some suggestions down below. Enjoy!